Temperate Orchard Conservancy (TOC) was established in March 2012 to preserve and share the genetic diversity of tree fruits that are grown in the temperate climate zones of the world. TOC has completed cloning the Nick Botner Collection of apple trees and continues to add other heirlooms varieties from many generous collectors across the country. The TOC collection of apple trees is now the largest of its kind in the United States. 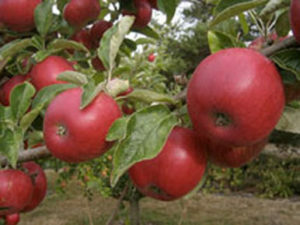 The trees (TOC Apple List 12-2018) are being established at their permanent home, Almaty Farm in Molalla, Oregon. By the end of December 2018, TOC had grafted approximately 5,000 distinct apple varieties.